Join us for conversation & cocktails with renowned author, Monica Bhide (@mbhide), as she discusses her new novel Karma and the Art of Butter Chicken. This is an EXCLUSIVE & FREE SAJA event at DC's hottest restaurant CoCo Sala (@cocosala). This event is FOR MEMBERS ONLY! Monica Bhide, a long-time member of SAJA, will also be available to sign copies of her latest novel. Attendees can purchase her book for $10.00! BONUS: Coco Sala will also provide attendees one complimentary non-alcoholic 'Karma Kocktail' to each guest. There will be appetizers and a cash bar. Named by the Chicago Tribune as one of seven food writers to watch, Monica Bhide's food writing has appeared in Food & Wine, Bon Appétit, Saveur, The Washington Post, Health, The New York Times, Ladies Home Journal, and many other well-known publications. 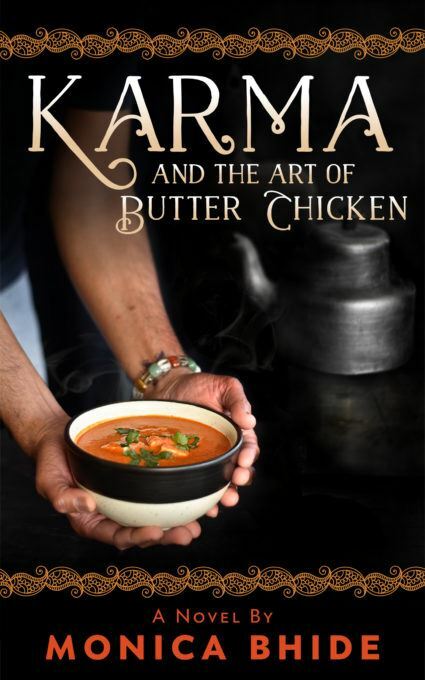 Karma and the Art of Butter Chicken has been described as “Slumdog Millionaire meets The Hundred-Foot Journey”. The novel tells the story of Eshaan, a traumatized young man raised by Buddhist monks, as he tries to right the wrongs of his past by embarking on a challenging quest. Monica Bhide dishes up a page-turning story of sacrifice and determination while exploring the human spirit. Set in contemporary India and seasoned with gentle love, dramatic loss, enchanting verse, and exotic food, Karma and the Art of Butter Chicken escorts readers to a place where past and present keep uneasy yet delicious company.